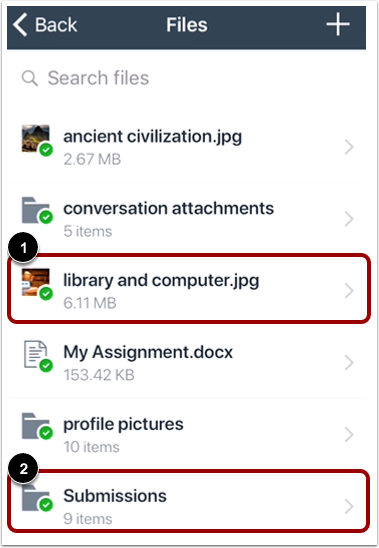 How do I view my User Files in the Student app on my iOS device? 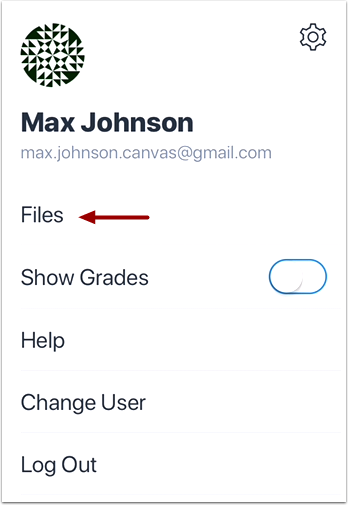 You can view personal files that you've added to your account on the Canvas Student app. Learn how to manage your personal files. User Files displays file folders  and file items . 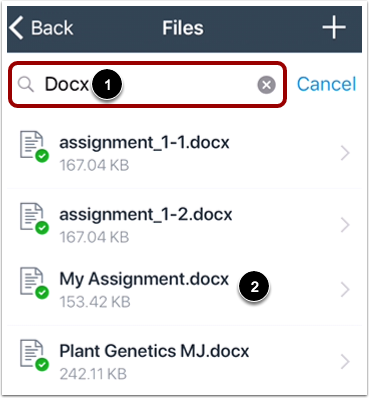 To view files within a folder, tap the name of the folder . To return to the file folder, tap the Back link . 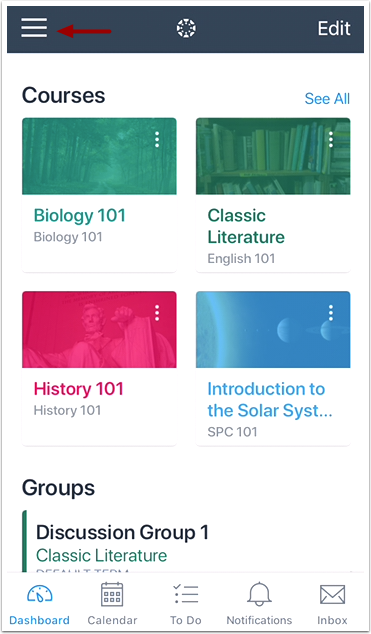 Previous Topic:How do I view the To-Do List in the Student app on my iOS device? 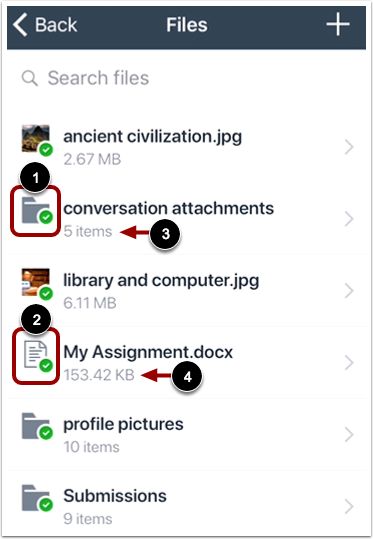 Next Topic:How do I manage my User Files in the Student app on my iOS device? 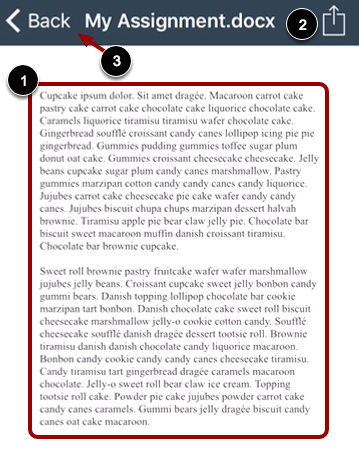 Table of Contents > App Features > How do I view my User Files in the Student app on my iOS device?